Many thanks to Louis Eisenberg for digging up some old photos of Uncle Louie’s Restaurant which closed almost 10 years ago at Wards Corner. More can be found at the Uncle Louie’s Restaurant Alumni and Friends Facebook page. You can read a copy of the Uncle Louie’s Restaurant Menu from March 2005 here (PDF). Entrance to a great time! The famous prop table in the front window of Uncle Louie’s. At times, we had to get that table so we would have seating for two more guests. Uncle Louie’s had 450 seats, The business that Uncle Louie’s would do on some days was absolutely amazing. Uncle Louie’s Banquet and Conference Room was a favorite of local politicians. First Colony Coffee seal. We served and sold over 100 varieties and flavors of First Colony Coffee. 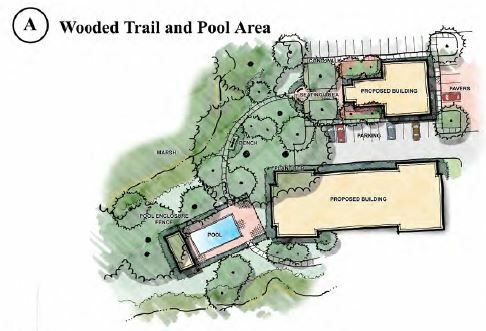 Please remember to come to the meeting on January 20, 2015 at the Fitness and Wellness Center at 6:30pm to view the designs and provide input. 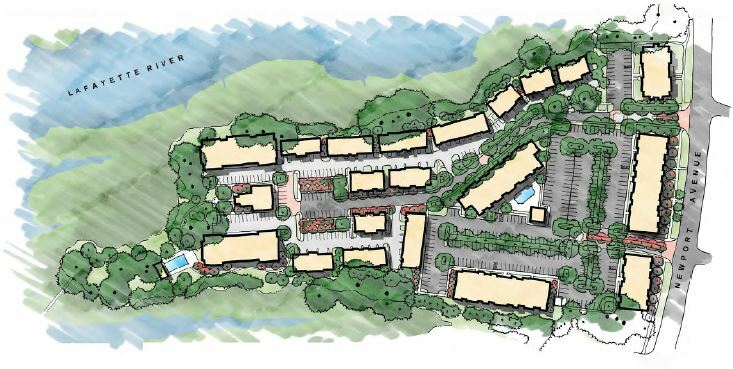 This will likely be the last chance to provide input before the project goes before Planning Commission and City Council. 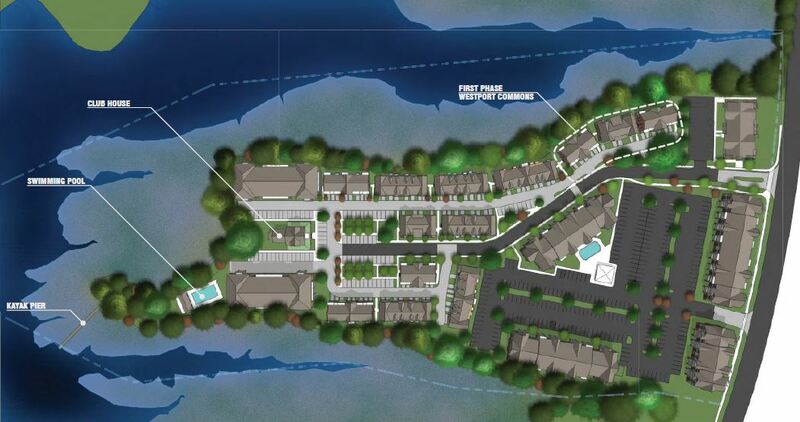 The apartments and townhouses are planned to be constructed on Newport Ave, just north of Granby Elementary. 2. The max height of the Condominiums is going from 43’8″ to 49ft. 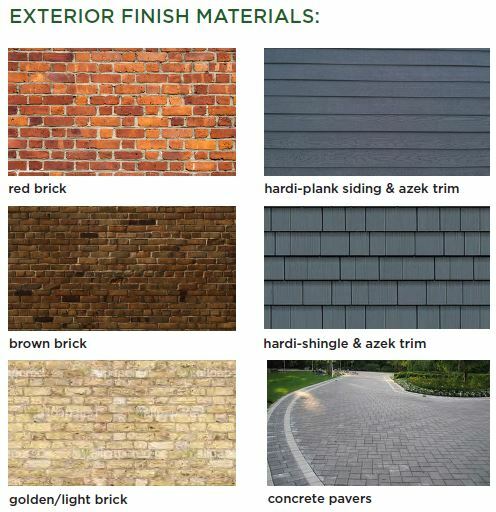 The entire PDF packet can be seen here. 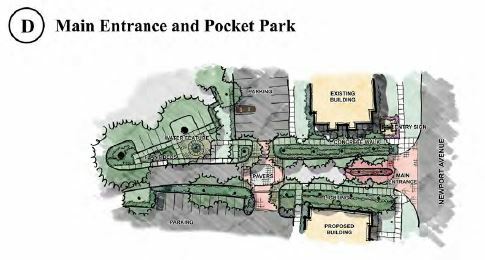 Collins Enterprises will present their final version of their apartment / townhouse / condo plan to be constructed on Newport Ave just north of Granby Elementary. The meeting will be on January 20, 2015 at 6:30pm at the Fitness and Wellness Center. The meeting is a joint meeting of the Wards Corner Civic League and Talbot Hall Civic League. The public is invited to attend. 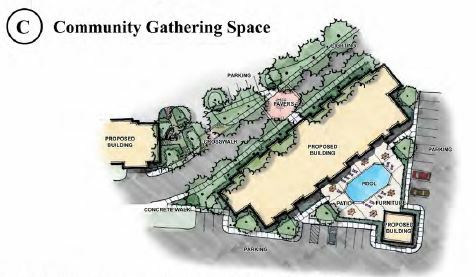 The meeting starts at 6:30pm and each civic league will take a vote during the meeting to advise the planning commission and city council on their support and concerns about the project. Updated designs will be posted to Wards Corner Now prior to the meeting. Please attend and let your concerns be known. 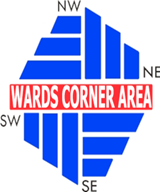 Come join the Greater Wards Corner Area Business Association Tuesday, January 20th in the upstairs meeting room of FARM FRESH, 230 E. Little Creek Road, Norfolk, VA. 23505. Doors open at 8:00 a.m. The meeting will begin at 8:30 a.m. an end at 9:30 a.m.
January’s meeting is a Membership drive, and we will be having a fabulous breakfast buffet, so please RSVP gwcaba@cox.net or leave a message at 587-7975 to let me know how many will be attending by January 18th. 2015. Titustown Pump Station, Phase 3. Project construction is currently 15% complete. 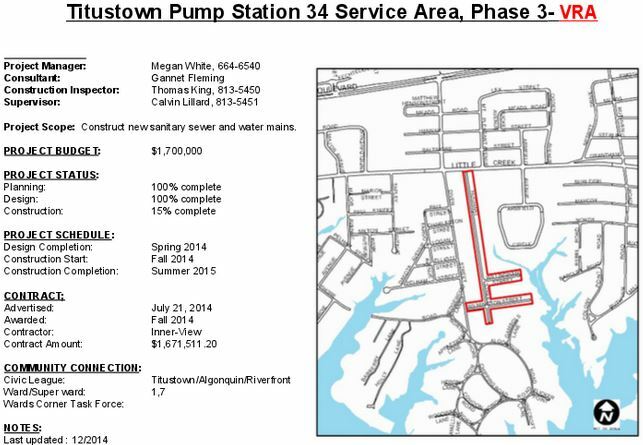 Project includes constructing new sanitary sewer and water mains along Hughart, Wilingham, and Wilmington Streets. Titustown Pump Station, Phase 4. Construction to start this winter. 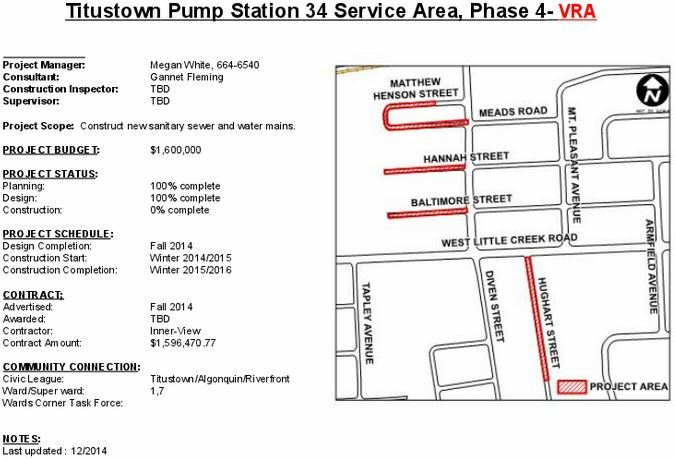 Project includes the construction of new sanitary sewer and water mains on Hughart, Matthew Henson, Hannah, and Baltimore Streets. Virginian Drive 16″ Water Main. Project is still in design phase. 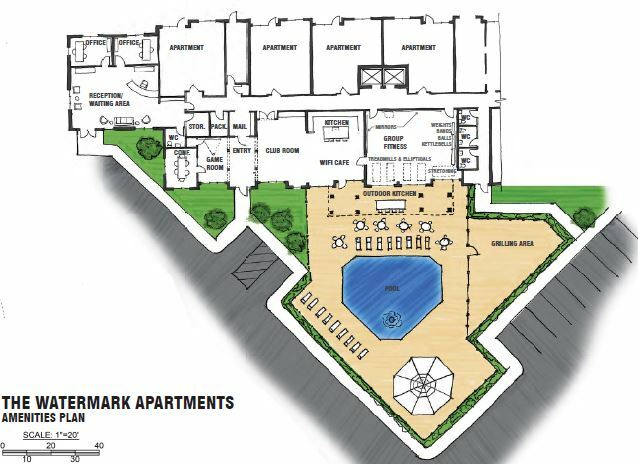 Construction to start in Spring 2015. 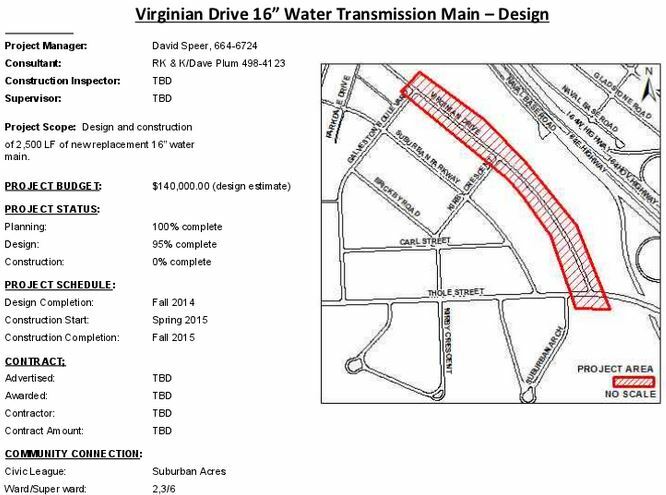 New replacement water main will be installed along Virginian Drive. 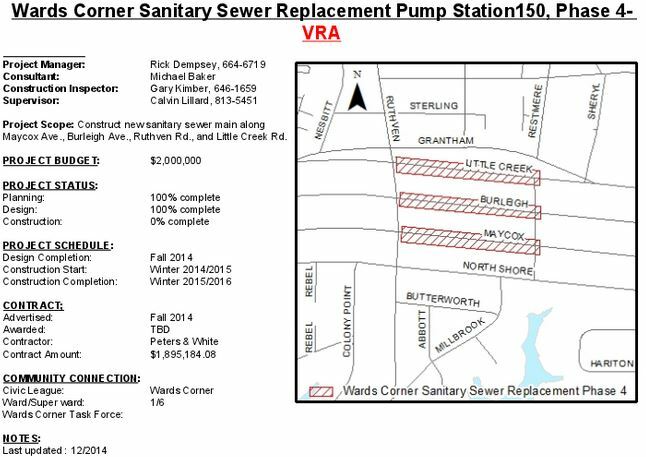 Wards Corner Sewer Replacement, Phase 3. Construction along N Shore Road is now 100% complete. 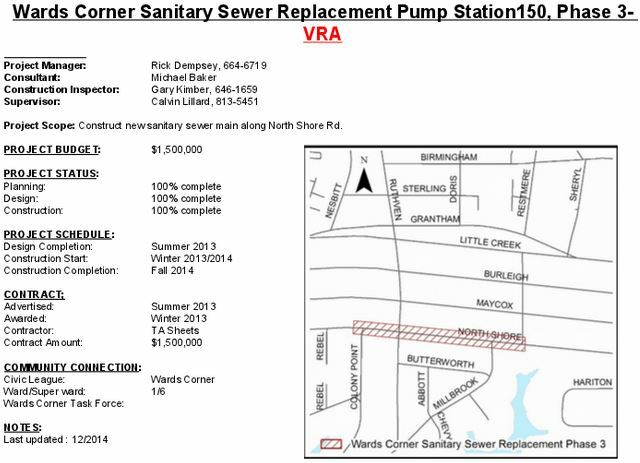 Wards Corner Sewer Replacement, Phase 4. Construction to being this winter. 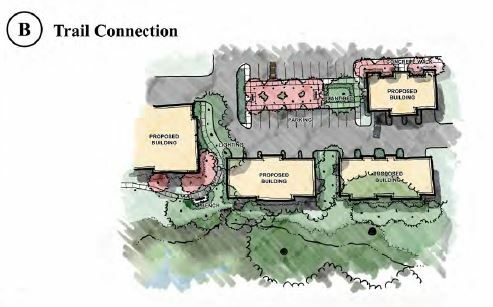 Construction will include new sewer mains along Little Creek, Burleigh, and Maycox. You are currently browsing the Wards Corner Now - Wards Corner, Norfolk, Virginia blog archives for January, 2015.